Houston athletic director Hunter Yurachek says former Baylor coach Art Briles is not a candidate to be the Cougars next coach. 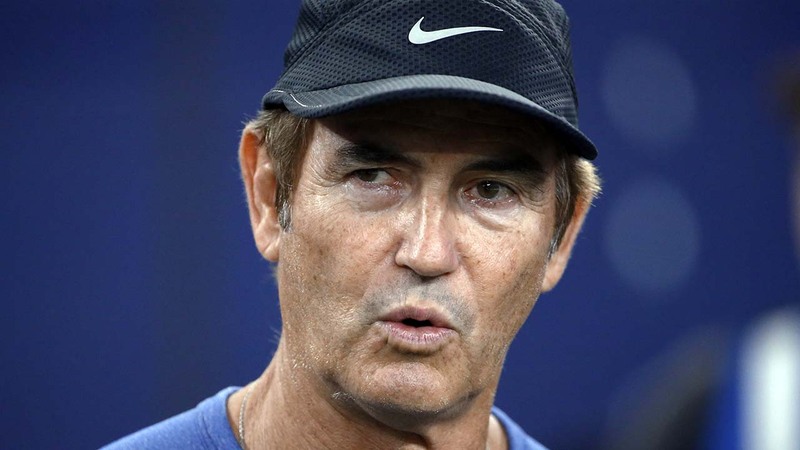 HOUSTON -- Former Baylor coach Art Briles is not a candidate for the vacant head-coaching position at Houston, the school announced in a statement Saturday. Houston's board chairman Tilman Fertitta wanted to include Briles in the interview process but ultimately was overruled by school president Renu Khator and athletic director Hunter Yurachek, a source told ESPN's Brett McMurphy. "Earlier this week Art Briles expressed interest to me regarding the Houston head coach position," Yurachek said in the statement to ABC13. "After discussion with University of Houston leadership, we developed a list of candidates to be interviewed that did not include Art. At this time, we will have no further comment on potential candidates or timeline." Briles was Houston's head coach from 2003 to 2007 before taking over at Baylor. Briles won two Big 12 titles at Baylor but was fired earlier this yearafter allegations that the university mishandled complaints of sexual assault. Sources told McMurphy earlier Saturday that Houston's list of candidates included Briles, along withAlabama offensive coordinator Lane Kiffin and former LSU coach Les Miles. Cougars interim coach/defensive coordinator Todd Orlando said earlier this week that he and offensive coordinator Major Applewhite also will interview. Kiffin's interview is scheduled for Sunday, a source told McMurphy. Alabama plays Florida for the SEC championship on Saturday afternoon. Alabama coach Nick Saban said Friday that Kiffin "absolutely" was ready to be a head coach again. Kiffin's scheduled interview was first reported by SB Nation. Houston is looking to replace Tom Herman, who left for Texas after going 22-4 over two seasons. Kiffin previously was a head coach for the Oakland Raiders and at Tennessee. He has been Alabama's offensive coordinator the past three years. Miles is an attractive candidate because of his recruiting ties to the state of Texas from his time as head coach at LSU and Oklahoma State. "Les Miles has always recruited Texas and has friends in Houston," a source told McMurphy. "It could be what Miles is looking for." ESPN staff writer Adam Rittenberg contributed to this report.